It's one of the most famous photographs of Abraham Lincoln. That's because no one knew the picture of the president existed. Not until a 14-year-old boy found it. Ronald Rietveld, the boy who made the discovery, is now a retired historian. 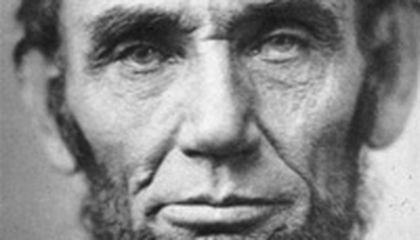 He will donate his original notes about the picture to the Abraham Lincoln Presidential Library and Museum in Springfield, Illinois. The photo marks one of the last chapters of a story that began in April 1865. It was just days after Lincoln was assassinated in Washington. His body was being taken to Springfield for burial. On a stop in New York City, a photographer was allowed to take a picture of the president. Lincoln's secretary of war, Edwin M. Stanton, heard about the photograph. He ordered it and copies destroyed. All were, except for one sent to Stanton. Rietveld enters the story in the early 1950s. As a teenager, he was fascinated by Lincoln. Rietveld attended the dedication of a collection of Lincoln-related items at the University of Iowa. Harry Pratt was the state historian of Illinois and a Lincoln scholar. He was so impressed with Rietveld that he invited him to Springfield to see the 16th president's home and tomb. Pratt also let Rietveld look through papers of John Nicolay and John Hay. They were White House secretaries when Lincoln was president. Rietveld came upon an envelope. It was sent to Nicolay in 1887 by Stanton's son. The son explained that he'd found some of his father's papers. He thought Nicolay might want them. "Then I opened up the folded sheet of plain stationery and there lay a faded brown photograph," Rietveld wrote in an article. It appeared in Abraham Lincoln Online. At first he didn't believe what he was seeing. "My first reaction was, 'This can't be' because I knew Lincoln photography well enough to know there were no photographs of Lincoln in the coffin. There were no such pictures, period," Rietveld, now 77, said last week. Pratt told Rietveld to keep quiet about the photo until he could determine its authenticity. Rietveld returned home to Iowa where he didn't say a word to anyone. On the morning of Sept. 14, 1952, his mother shook him awake. His grandfather had just called. A picture of Lincoln was all over the front page of the Des Moines newspaper, with Rietveld's name front and center. "She wanted to know what I had done wrong," said Rietveld, chuckling at the memory. "I told her I didn't do anything wrong. I'd found the photograph during the summer in Springfield. The AP (Associated Press) had put my name all over the country." I think this article is amazing because a teenager found an Abraham Lincoln picture. I think the picture is very spooky because the photographer had taken a picture of Abraham Lincoln's tomb. I don't agree because a teenager found an Abraham Lincoln picture in a library book in the last chapter. I learned that it is sometimes possible to find a historical pictures and things from long ago. I am amazed because I never knew people sometimes found historical things. I cant belive they found aa raar photh.I realy liked this artical.I also cant ba\eleave they let some one take a picher of him. I had know idea a 14 year old kid found the only picture of Abraham Lincolin. Why would they take a picture of some one not alive. Its rude! I think this is a cool thing to happen to someone .It was good to find something so rare. 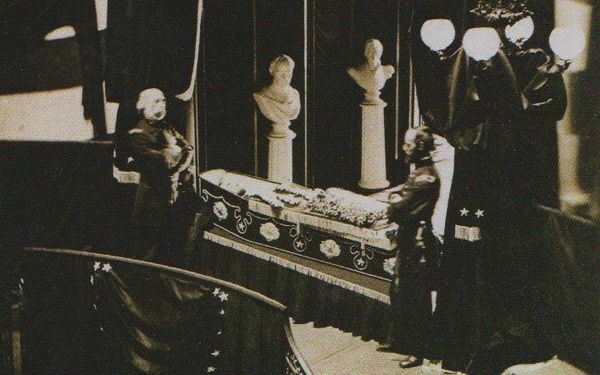 I think this is really amazing.I never knew that there is a photo,that I never knew about in my life.I am really amaze that there is an photo of Abraham Lincoln in his coffin. I think Rietveld was an lucky guy. If I found that picture I would be amazed. I mean he got a tour of where Abraham Lincoln lived. How Lucky.